Tijani Ukay @ Ampang, Selangor. The keys to your new home, and the complementary ride. The luxuries of life aren’t just found at home. Now, you can enjoy them on the go. Prestigious projects by Symphony Life. 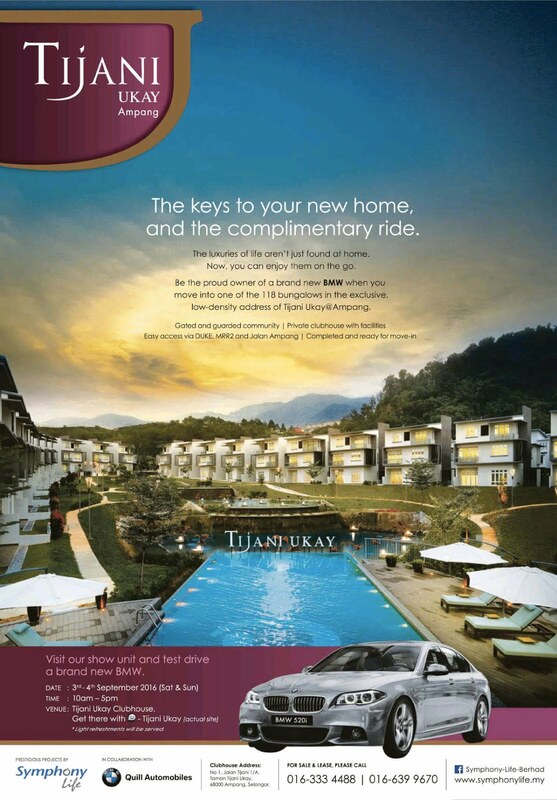 Be the proud owner of a brand new BMW when you move into one of the 118 bungalows in the exclusive low-density address of Tijani Ukay @ Ampang, Selangor. Gated and guarded community, private clubhouse with facilities. Easy access via DUKE, MRR2 and Jalan Ampang. Completed and ready for move-in.